These continuous wars are bleeding the working people slowly in countries that either are targeted for their geo-political importance, their rich recourses or both. At the same time, these armies, in order to eliminate the fictitious “enemy” in the faraway lands, have caused tremendous setbacks for their own people. Each war (regardless of the warmongers’ justification) is like a double bladed sword that slashes the victim nation’s body in half. It also, after each strike, causes painful cuts on the working people of the aggressor countries. 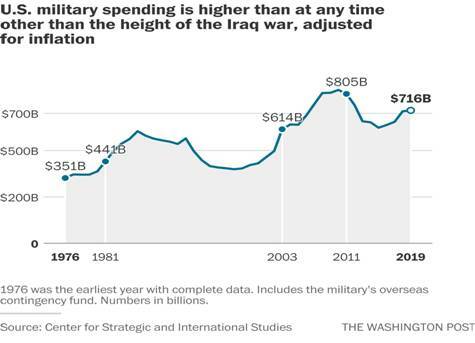 According to the Department of Defense “Cost of War” Report in 2017 “American taxpayers have spent $1.46 trillion on wars abroad since September 11, 2001.” That is $250 Million a day for 16 years. Due to the endless wars, the American people have witnessed their democratic rights slowly but constantly being chipped away little by little and their financial security has violently been stolen by the greedy financiers of Wall Street since 2008. Working people, in general, either as victim or victor nations suffer in different degree from wars. Global working people absolutely recognize that there are no benefits in killing or getting killed to protect the corrupt wealthy classes. With this understanding, Peace activist would only proceed from the actual condition that is confronting the majority of people. The recent exchange of War Tweets between American and Iranian “leaders” first and foremost display the weakness of an unorganized Peace movement. Some even claimed the war against Iran will “destroy the U.S.” or simply it “Won’t Work”. Considering that the U.S. military war against Iran will pull other regional and global military powers into the conflict instantly, causing other countries to feel the devastating impact of that war. The starting point should not be the military strength or weakness of the armies involved. The true Peace activists oppose wars because they are designed against the working families as a global unit. When a conflict or talk of a conflict heats up, Peace activists should NOT act as a cheerleader for any sides, on the contrary they should patiently promote another option, a peaceful option to resolve the conflict. Today, the U.S. is the only powerful military force on earth that is eager to ignite a major war. The facts are that today the U.S. is threatened by the China’s strong economy, while considering Russia, Iran, North Korea and other sovereign countries as obstacles for her supremacy as a super power in the Middle East and Far East. The immanency of a global war by the U.S. means that humanity is enteringa dangerous stage of an irreversible nuclear war. However, the U.S. elite also are extremely cautious about the backlash from the American people that could be unpredictable and heavyhanded. So again, wars don’t start with a late tweet of an old man. The U.S. already has shown that it is willing to try other forms of war before engaging in an all out military confrontation. As we are witnessing, the decision to reinforce harsh sanctions against Iran by the Trump Administration is directly targeting the poor working people in Iran. Economic sanctions are the invisible war against Iranian people. The images of destructions by dropping bombs over the populated cities like Baghdad or Aleppo are painfully vivid in our memory; however, the insane sanctions against Iran are like invisible bombs that have the same deadly results for Iranian families who already struggling to feed their children. So instead of counting the warships or taking sides in the warmongering rhetoric, Peace activist need focus on the issues that are relevant to prevent the next war. Peace activists in the U.S. should organize events and demonstrations across the U.S. to expose both major parties for their shameful vote for a $716 Billion Military Budget in 2019, which is an $82 billion increase from 2017. Peace activists as a principle will support the right of victim nations to defend themselves against any aggressive war that is imposed on them. But right now, the American Peace activists should concentrate to relay the message against the insane increased military budget and inhumane sanctions against innocent people. The American people are keenly aware that their fellow citizens in Puerto Rico have been neglected in having the basics necessities like electric power or even modest reconstruction of the vital infrastructure on that isolated island. How is it possible that the ladies and gentlemen in Washington who can’t stand each other, so easily are eager and able to work together to find billions of dollars to increase the military budget but are not able to even talk about the need of clean water in Detroit or better schools or new hospitals? Every time a powerful army is sent for a mission, the first casualty is the liberty and freedom of speech which is followed by the financial burden on the working people of the aggressor country. The cost of armies and military operations are paid by the average toilers through taxation. The 1% is the only class that benefits from war. Today the routines are familiar, in preparation for a new war first the media relentlessly misinform people about the victim nation and create a fear that any delay in a military response would be costly for the U.S. and, of course, “Western Democracy”. They carelessly write up fake documents, introduce bogus evidence to justify a military conflict.Many times over since WWII, U.S. Presidents and the corrupt media have found a new “Hitler” which they insist should be dealt with immediately. However the true intention of the elites who wage war is to crush the pride of independent nations to submission, so they can appoint a pro U.S. government to plunder their natural resources. Today the pathetic submissive position of the Iraqi Prime Minister Haider al-Abadi toward the U.S. supremacy is evident. Poor Mr. al-Abadi has demonstrated his agony in Teheran in regard to the U.S. sanctions against Iran. He is torn to pieces between the orders from Washington and his own nationalistic obligation. It is needless to say that the Iraqi Prime Minster “reluctantly” had to choose to comply with US sanctions on Iran against his will! The real intention of the U.S. sanctions against Iran is to punish Iranian people for their victorious revolution in 1979 which ended the U.S. direct operation in Iran’s internal affair through the monarchy. Mr. Trump ridiculous claims that Iran is taking advantage of the JCPOAagreement or calling the Iran Deal “the worst deal ever” are purely baseless. The EU is challenging the U.S. risky unilateral withdrawal from the JCPOA agreement (Iran Deal) by reactivating ‘blocking statute‘ against US sanctions for European firms. Deutsche Welle, Germany’s online international broadcast published the European Union Commission President Jean-Claude Juncker announcement that: “we have the duty to protect European companies”; therefore, “we are launching the process to activate the ‘blocking statute‘ from 1996. …He added that European leaders ‘also decided to allow the European Investment Bank to facilitate European companies’ investment in Iran, and said the Commission would continue to cooperate with Iran.” (3) However, the U.S. is planning to impose the second phase of the economic sanctions against Iran on November the 5th which will impact Iran’s energy and shipping sectors. A campaign against the U.S. sanctions on Iran is the most urgent work for the true Peace activists today. Peace activists unconditionally defend the people who are the victims of the aggressive wars regardless of what their elected or selected leaders’ political ambitions or pretentions. Based on these principles, true Peace activists defend the innocent people in Yemen and Palestine who have been subjugated to the cruelty and savagery of the most powerful armies for many years. The incompetency of the U.S. and Western parliamentary systems show signs of decomposing; their friendly relations and alliances with other nations are shaky and fragile. They have no political solutions to the mountain of problems that they have created themselves with their system that puts profit over people. The fascistic minded President Trump in the U.S. with his off-the-cuff and incoherent policies so far have cut taxes for the rich, imposed deregulations and created an uncertain economic outlook for the American workers and farmers. He encourages the U.S. Immigration and Customs Enforcement (ICE) to operate more like the Gestapo and lock up innocent immigrant children in inhumane cages, vulnerable to the physical and sexual abuses. The Trump administration, with a weak economy and strong military, moves toward a dangerous situation nationally and internationally which is reminiscent of the political condition in Germany before WWII. Peace is not possible only by the collection of speeches and informative articles or organizing small gatherings against war here and there.Struggle for Peace like any other struggle needs a manifesto with universal principles. Peace activists in different countries are facingdifferent challenges. The critical understanding is that to rely on the power of working people and not to lean on who has the most awesome and destructive power of military equipment! True Peace activists should not take sides between the aggressive armies, nor should they get distracted by the pseudo “Socialist” Democrat or far-right Republican candidates who pop up to entertain us right before any election. However, the powerful governments and armies have their own Achilles’ heel and that is the power of Peace. Only a conscious leadership from all walks of life will be able to end the suffering of people and prevent a nuclear war in the future. Unfortunately, global peace activists which conceptually are in agreement of the necessity of Peace, in actuality are scattered and for the most part they struggle for Peace separately. The concept of an international united front for peace is not on their agenda yet. For this reason, today we literally have armies of Peace organizations. 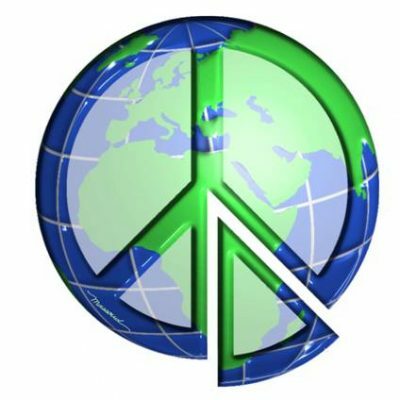 Each of these standing Peace organizations are fighting for the cause of Peace every day, unconnected, they act on impulse. Above quotation is from Professor Michel Chossudovsky call for action in 2013 in the heat of the U.S. threat of war against Iran; which still is still true and valid. Let’s have a candid discussion about PEACE and how to advance the PEACE movement before is too late.